December 29, 2017 December 28, 2017 Linda Reimer Corning, Corning NY, Local History, New York State History, Public Library, Southeast Steuben County Library, Southern Tier. If you recognize the location the photo was taken or known the year it was taken let us know. 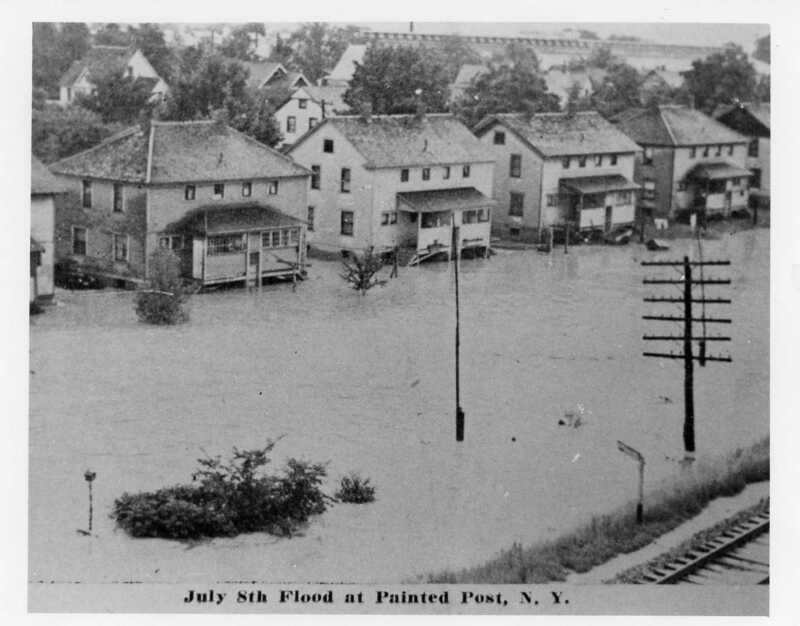 I’m guessing the photo wasn’t taken in 1972 as it seems like more than a week would be a long time for the flood of June 23 to still be flooding houses – but as I was 6 in 1972 perhaps I’m wrong on on that score! Our second photo of the week is of a park somewhere in our region. 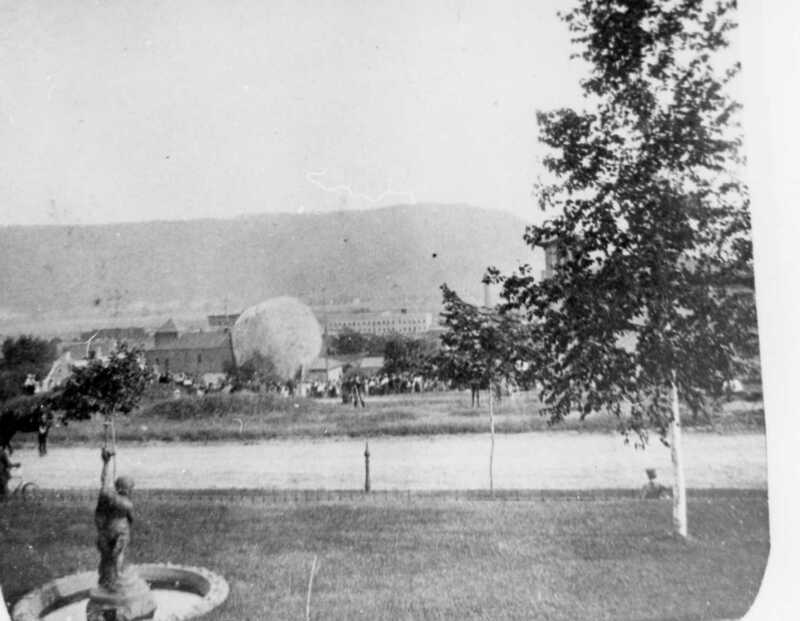 Judging by the fountain I’m guessing this photo was taken in the 19th or early 20th Century. 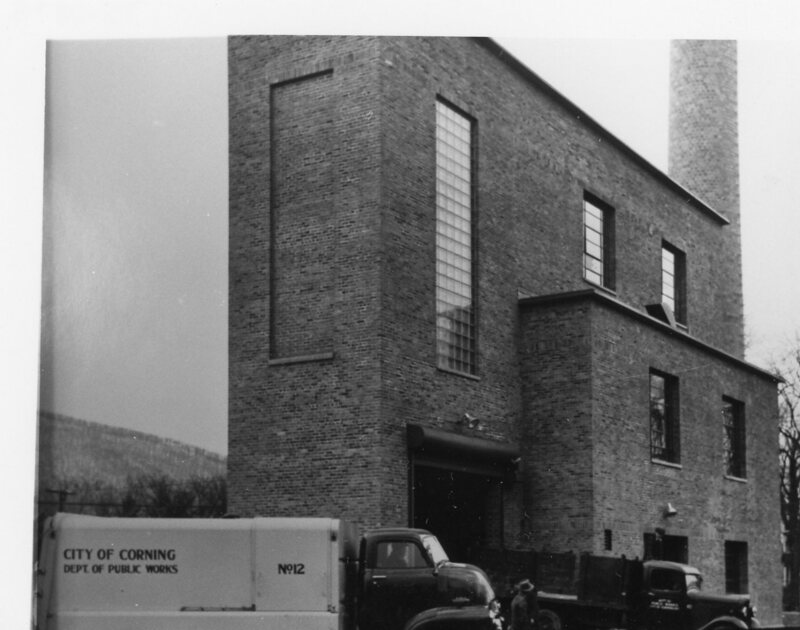 The only building that looks familiar to me is the brick building seen in the background on the left side of the photo – is that by chance the old Corning Armory building that has housed the YMCA for the last couple of decades? If you know where the photo was taken – let us know! 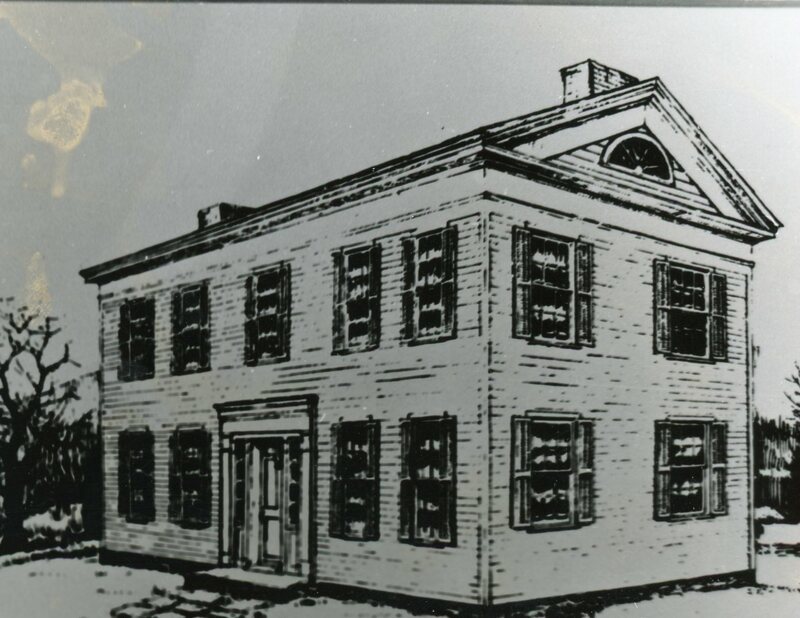 Our first photo for this week appears to featuring a drawing of the Patterson Inn at some time in the past. If you recognize the drawing or know who the artist was – let us know! Our second photo for this week is of a partially flooded local street. 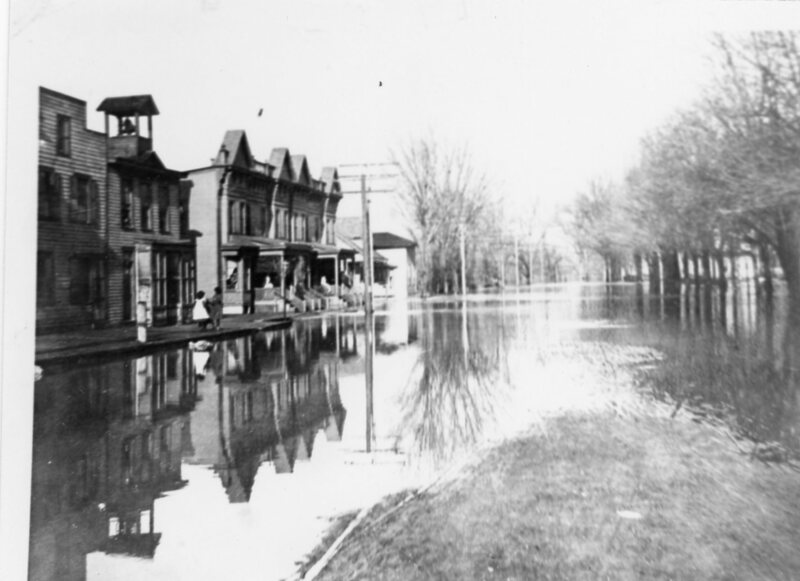 I’m guessing the photo may have been taken during the Flood of 1935. I don’t recognize the street — if you do – let us know! Our last photo for this week features a cool Queen Anne style house with a neat rounded porch and copula style look out room. I’ve no idea where this house is, or was as the case may be, but what a cool style! 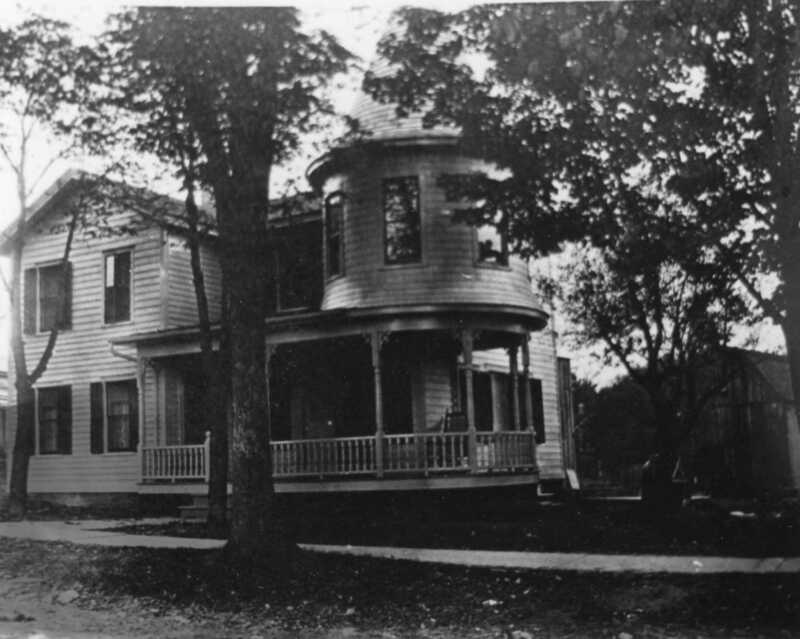 If you recognize where the house is, or was, please let us know! Photo 1: Tractor Or Part Of A Train? I’m a librarian and I love technology but I don’t know much about train or tractor technology. If you recognize what the technology is, let us know! And if you know who the man in the photo is or where the photo was taken – we’d like to know that too! 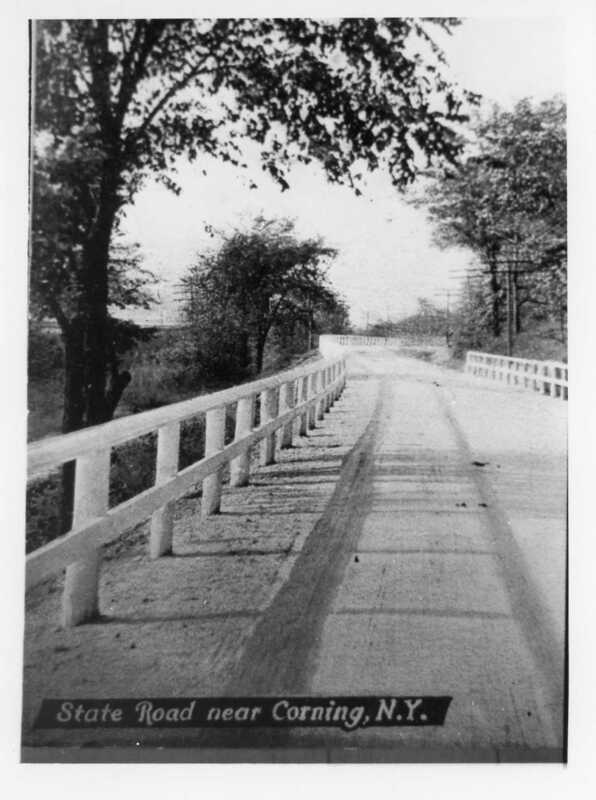 Our second photo for this week is of a postcard showing the old State Road which, was evidently located near Corning. 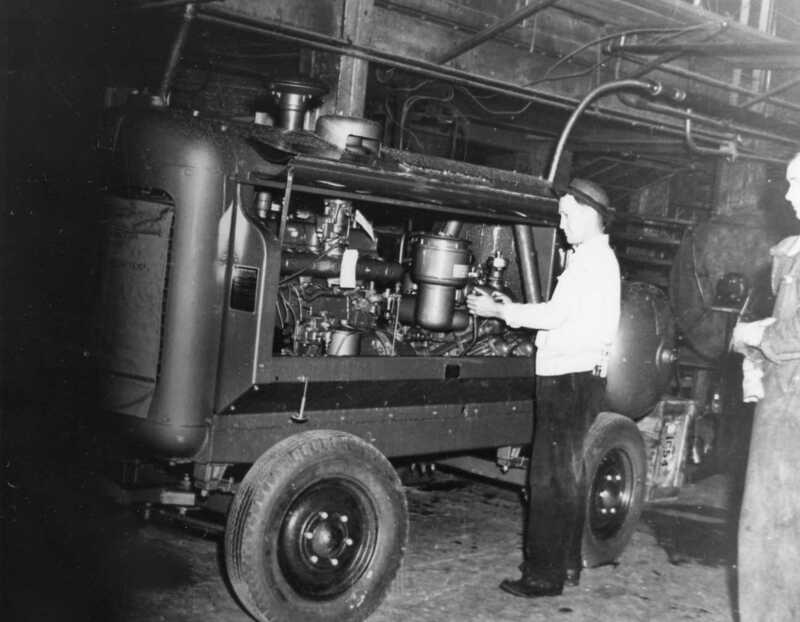 I don’t recognize where this photo was taken; so if you know, let us know! 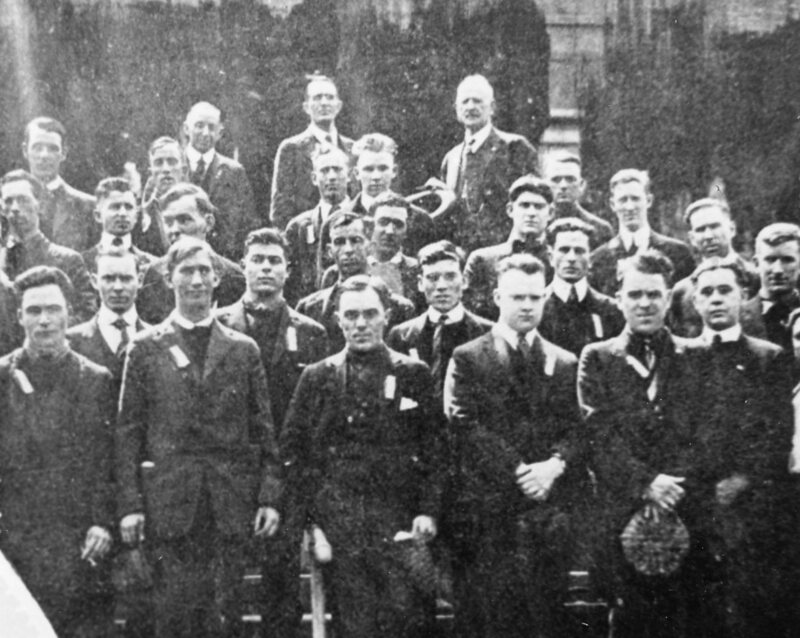 I’m guessing the men in this photo might be World War I army volunteers or veterans. You can tell my their high collars and suits that the photo was taken before World War II. And I can’t make out what the badges some of the men are wearing say. If you recognize any of the men in the photo, know where the photo was taken or can tell us anything about the photo please let us know! We have a number of photos in our photo archive that are photos taken of old photos or postcards of people, places and things in the region. And this is another cool one – if you just ignore the sliver of counter top at the top of the photo. 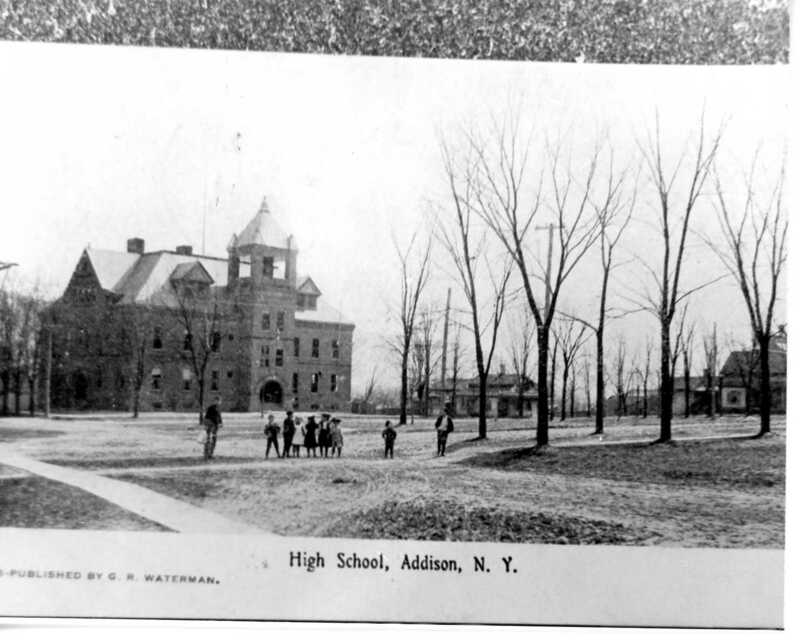 The photo is of the old Addison High School sometime in the early twentieth century. If you know anything about the old Addison High School let us know! I have no idea what the “OBBN” on these ladies shirts stands for! And they’re dressed rather fancily from a modern perspective to play soccer or some other type of ball game. 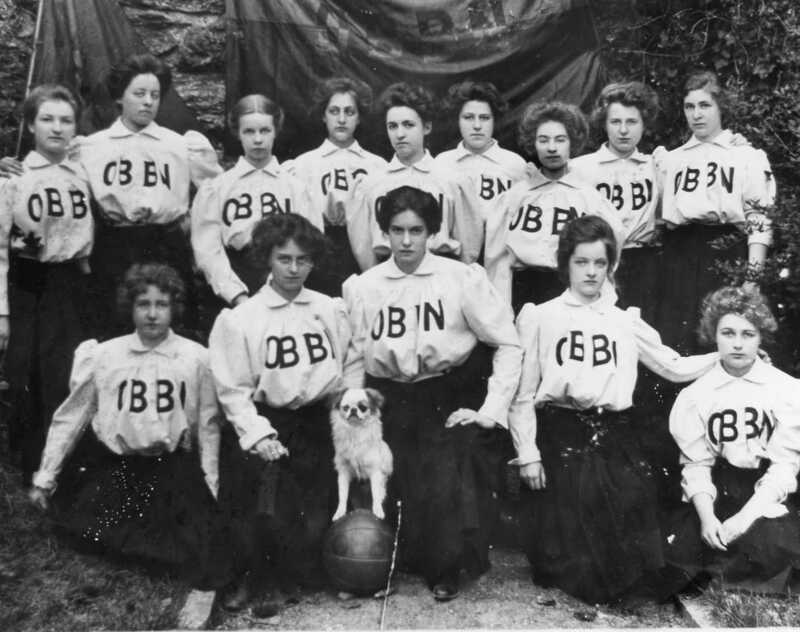 But whatever the occasion the photo was taken for, I’d say the ladies are definitely a team and I like their dog too! 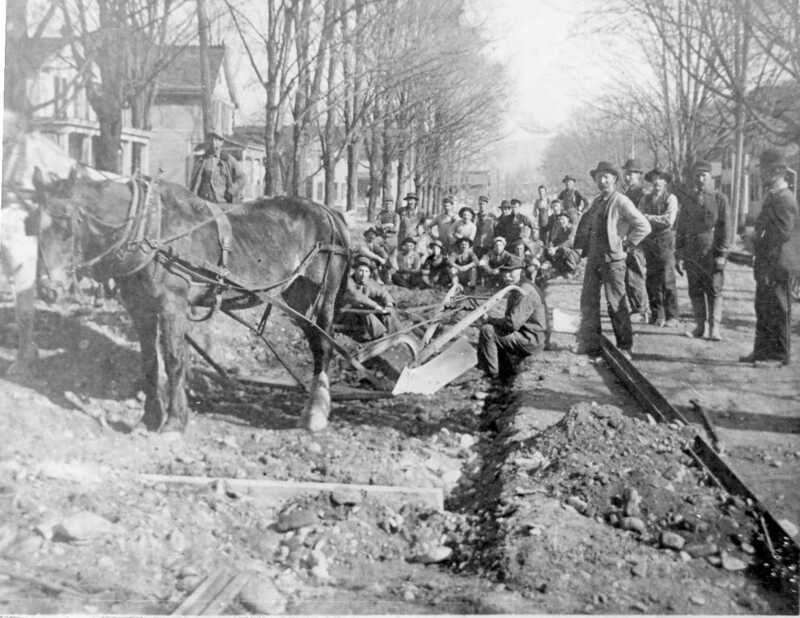 Our final photo of this week shows what appears to be a crew getting a street ready for paving – presumably with bricks. Although I suppose they could be digging the street up in order to install plumbing pipes too. 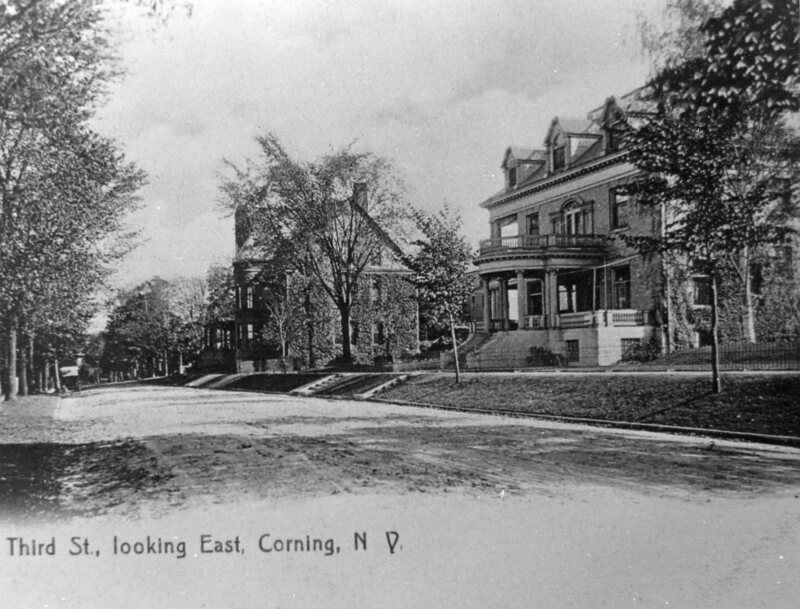 If you recognize which local street they were working on, or if you know anything about when and how the originally paved the streets in Corning – let us know.